Surrounded by other quality homes in exclusive Dunmore Park Estate, this impressive home is sure to please the most discerning of buyers. Still under new home warranty the home presents like new, with an enviable combination of designer features, established gardens and postcard-like views over the countryside toward the mountains in the distance. Consisting of 4 bedrooms in total, all of which offer sizeable built-in robes, ceiling fans and plush carpets. The king-sized master suite boasts twin walk-in robe’s, private ensuite and an oversize parents retreat which could also double as a study or private lounge area. The spacious kitchen has stone benchtops, double door pantry, chef’s oven, gas cooktop and a dishwasher. There is ample living/entertaining space with a large formal lounge room, formal dining room, rumpus room and informal family/dining area off the kitchen. Outdoor entertaining is easy with an undercover timber alfresco deck embraced by fragrant gardens and manicured lawns with gorgeous views toward Woodville and Vacy. Side access to the rear yard is available through double-gates, enabling you to park your caravan or boat on the purpose-built concrete pad or there’s plenty of space in your large triple garage to the front of the home. Maitland Real Estate Agents are proud to be the exclusive agent for this impressive home. Private viewings are available by contacting our office on (02) 4930 0641. The content of this advertisement; constitutes Maitland Real Estate Agents (MREA) copyright and is intended for general use and information only. All rights are reserved. This advertisement contains information provided by third parties and is intended to provide preliminary information only. Errors or omissions can occur in the preparation of such material and users should independently verify its accuracy, completeness, relevance and that it is up-to-date. Before any action or decision is taken on the basis of this advertisement the user should obtain appropriate independent, professional advice. Further information on Maitland Real Estate terms and conditions are available on our website: www.maitlandrealestateagents.com.au. All images are indicative of the property only. Licensee and Principal at Maitland Real Estate Agents. Troy boasts extensive marketing and sales experience having represented some of the world's best known brands. 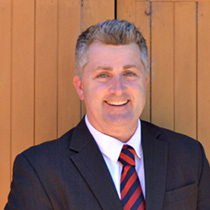 He is delighted to be back home in Maitland, helping local property owners achieve the best results when selling. Do I Really Need an Agent? Really? An independent, locally owned and operated real estate agency. We focus solely on helping property owners in the Maitland region achieve great results when selling. Copyright © 2015. All Rights Reserved. Maitland Real Estate Agents.